Our scrap car dealers and collection partners are vital to the way we do business here at Scrap Car Network. As our name suggests, we’ve worked very hard to build up a network of specialist scrap car dealers that spans across the whole of the UK, and we’re very selective about who makes up that network. Each of our dealers have been thoroughly vetted by the Environment Agency to make sure they meet acceptable standards of quality, safety and trustworthiness. This makes them either registered Authorised Treatment Facilities or legal transport companies with waste carriers licences whom are legally allowed to operate in the UK. Most of our partners are ATF's (Authorised Treatment Facilities); that way, we can be absolutely sure of our partners’ ability to provide you with the very best service when it comes to scrapping your car. What Can You Expect From Our Scrap Car Dealers / Collection Partners? We pride ourselves on our customer service, which means you can expect a fast, friendly and reliable service. 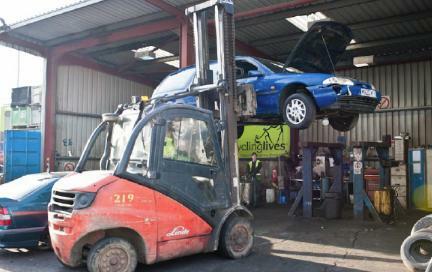 It all starts with a free, no obligation, instant online quote offering you the best price for your scrap car. Once the quote has been accepted, we’ll arrange for your car to be picked up by our nearest scrap car dealer. You’ll receive a Certificate of Destruction to confirm it all legally. We’ll then pay you by BACs or bank transfer. If you’re looking for payment of cash for your scrap car, we should probably tell you – that’s deemed illegal. 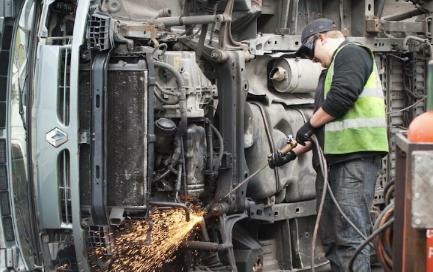 The introduction of the Scrap Metal Dealers Act in 2013 aims to cut down on the kind of criminal behaviour that can result from this kind of activity, and for the most part it’s succeeding. So, at Scrap Car Network, we ensure our dealers obide by the law and follow the regulations set out by the Scrap Metal Dealers Act. As scrap car dealers we will always pay you via BACS or bank transfer. A Certificate of Destruction is absolutely vital when it comes to scrapping your car. It releases you from responsibility for the car, so in the eyes of the law, you’re still liable for it if you haven't got one. At Scrap Car Network, we’ll always aim to have this to you within seven days once we receive your vehicle from our dealer / collection partner. A V5C is the document that proves your car is registered with the Driver and Vehicle Licensing Agency (DVLA) and shows who’s the registered keeper of the car, and it’s up to the registered keeper – namely, you – to let the DVLA know if the car has been taken off the road, written off or scrapped. Scrap Car Network can scrap your car without the V5C, but you are legally obliged to contact the DVLA in writing to declare that the car is off the road and ready to be fully de-registered. If you don’t, the DVLA could prosecute you and land you with a hefty fine. If you want to scrap your car with one of our collection partners / dealers then the first thing is to let us know. We’ll be able to arrange a collection date for you and let your local collection agent know not to expect a V5C from you. Get started with a quote from your nearest dealer today! Get started today – Entering your car reg and postcode onto our homepage to get your own instant online quote.